The victim of a vicious attack in Letterkenny is making a good recovery in hospital. The man, who was savagely attacked at his home in Ard O’Donnell, had been in intensive care at Letterkenny General Hospital. However Donegaldaily.com now understands the man has been transferred from ICU to the High Dependency Unit at the hospital. Gardai are still waiting to interview the man about the attack which happened around 4pm on Tuesday afternoon. 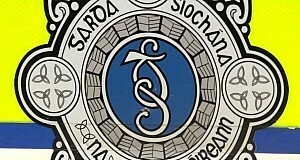 Gardai have maintained a presence at the hospital since the victim was rushed there by ambulance. It is believed the victim was attacked with a bottle or a glass by another man who was known to him. A man was arrested and has been interviewed in relation to the attack.